iPad deployment: which method is right for your business? 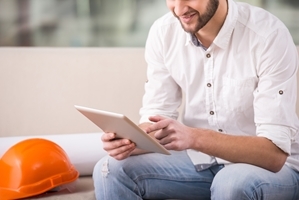 Home » MC Services Blog » iPad deployment: which method is right for your business? While it can be exciting to make your business or organization more powerful by integrating mobile solutions on iOS devices, actually rolling out the hardware yourself can be daunting. Depending on the size of your team and the role the devices will play in their day-to-day operations, there are different methods you could use to implement your iPad deployment. In this post, we will explore the specifics of the three methods of iOS integration you could opt for, bring-your-own-device, corporate-owned personal devices and shared devices, so that you can choose which model, or combination of models, will best fir your enterprise needs. BYOD, the most common model of iOS implementation, works much like its name implies. With this method employees can set up their existing personal devices for use at work. To access corporate resources, users often enroll their devices with a Mobile Device Management (MDM) solution. Using MDM allows employers to enforce settings, monitor corporate compliance and remove corporate data and apps all while keeping their employee's personal data intact and secure. Much like the BYOD model, this method allows users to have access to a personal device. In this case, however, employers have more control over the corporately-owned devices and can therefore optimize their configuration for use at work. Once configured, users can still personalize the device with their own apps and data. Shared devices are perfect for situations in which multiple people use the device for a single task, such as checking inventory or processing orders. In this case, the employer's IT administrators typically set up the devices rather than leaving it up to individual users, and individuals are not permitted to install apps or data of their own on the device. While many organizations choose to implement one strategy, sometimes several models can serve different functions within an organization. For example, a company may choose to set up a BYOD system for its employees while also using a shared device for interacting with and taking orders from customers. For Mac IT support and iPad deployment solutions to boost your business's productivity, contact MC Services today.